We are on Reason #3 this week. I'm hoping to get back here with a few pictures to show you how mine is going so far. I'm still consider binding ideas, too. I want to furnish you with as many options as possible. So far, I'm digging the very large metal rings, but want to investigate further. If you like Project Life, it would be pretty nifty in that style, too. Definitely make sure you print in best quality and if you have the option, gloss or semi gloss paper for the best results. I plan on adhering my pages back to back and will have to round the corners of the cover card. Bit of a brain fart, there. 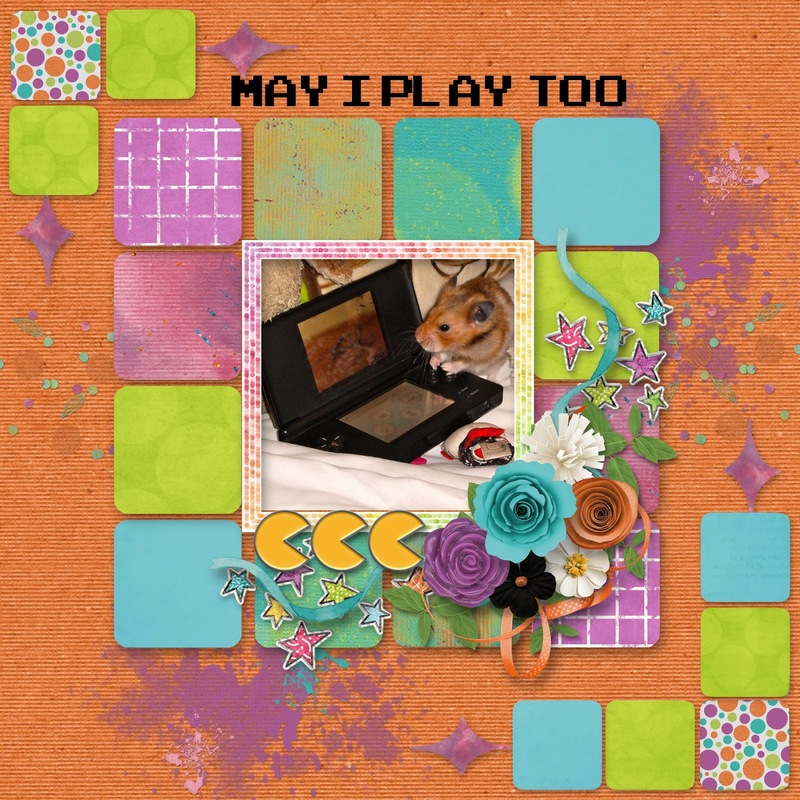 Hehehe...You could use a square format if you choose by either cutting into the cards and making them into a square shape OR modifying the cards in a software program like Photoshop Elements by adding another layer, behind the card, in a coordinating colour and forming that layer into your desired shape. Update: Go to this blog for Reasons 1-22. If you missed reason #1 and #2, no worries. I'll be sure to give all of the links or images so you can join us at any time and not miss out. If you ever have questions about our projects, you can easily have them addressed in our Cherry Group on Facebook. Thanks for popping over to The Cherry and as always, happy scrapping. We are on Reason #3 this week. 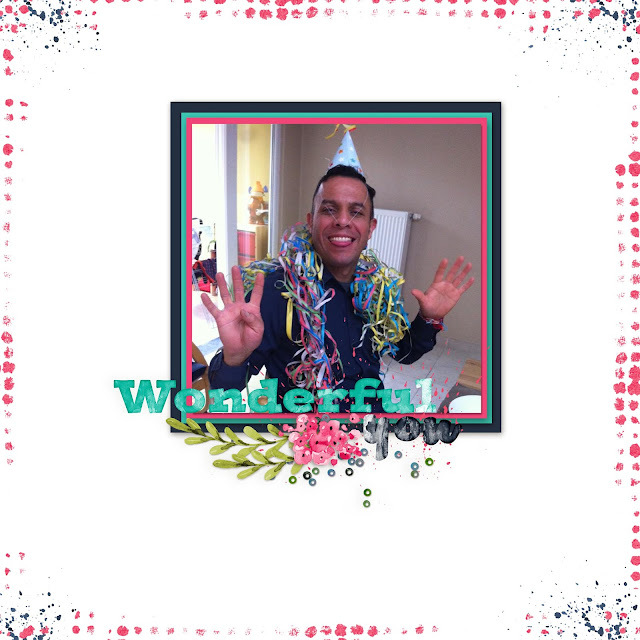 Click on the preview below to download reason #3 card AND another card for a photo or more journaling if you prefer. We've combined all of these downloads into 2 easy links. Click here to get them. Grab this month's calendar, check out what we just released yesterday and make sure you didn't miss out on the other free things. 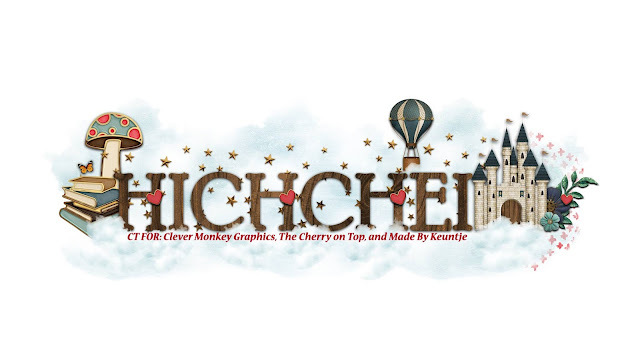 Made By Keuntje and I teamed up yet again for another smashing collection. My Muse is retro cool, but in a more 80's fashion. Whilst Revel In Retro is a bit more...Art Deco? More vivid fun in a must have collection. We've got two freebies for you if you want to give it a test drive, first. This is my free frame cluster. Seriously, it's so awesome, you could just drag this png image onto a pretty paper or a few coordinating ones from the collection and you're page is finished. The most generous Dana, is giving out a few papers and ellies on her blog. 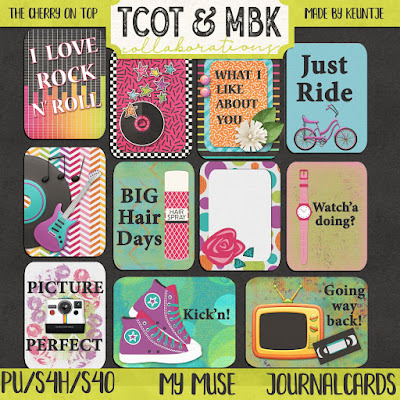 There are also some radical journal or Project Life cards available as well. Dana has the entire collection available in her shop. I've got the ellies, papers, word bits and cards in my shop, all sold separately. 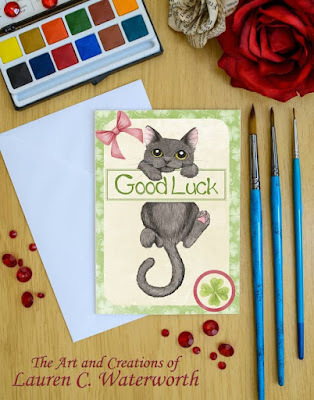 If you are into printables, you might just love these cards. I've got a print out on a 12x12 page in png as well as printout sheets in jpg for those less computer savvy. 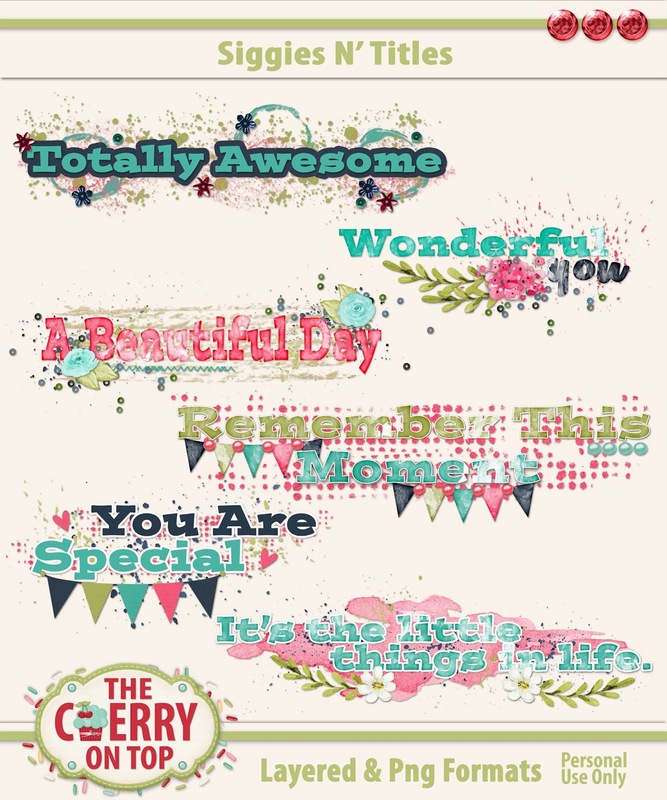 You get all of the word bits on one printable jpg sheet and 1 png sheet along with the cards for just 1.99. 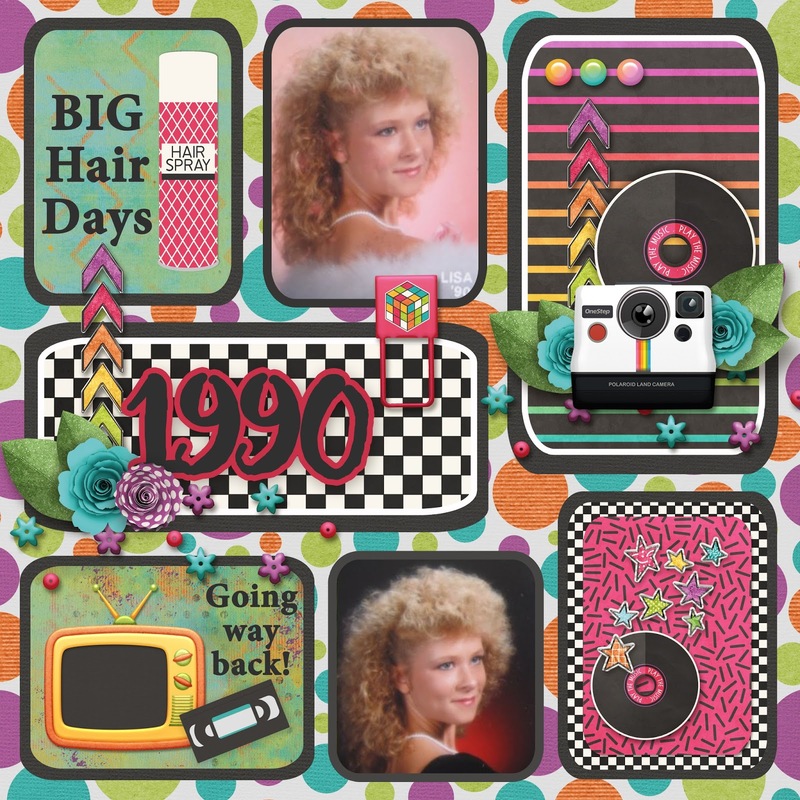 Use them for traditional pages, Project Life pages, in your journals, planners, smash books...Full of sass! 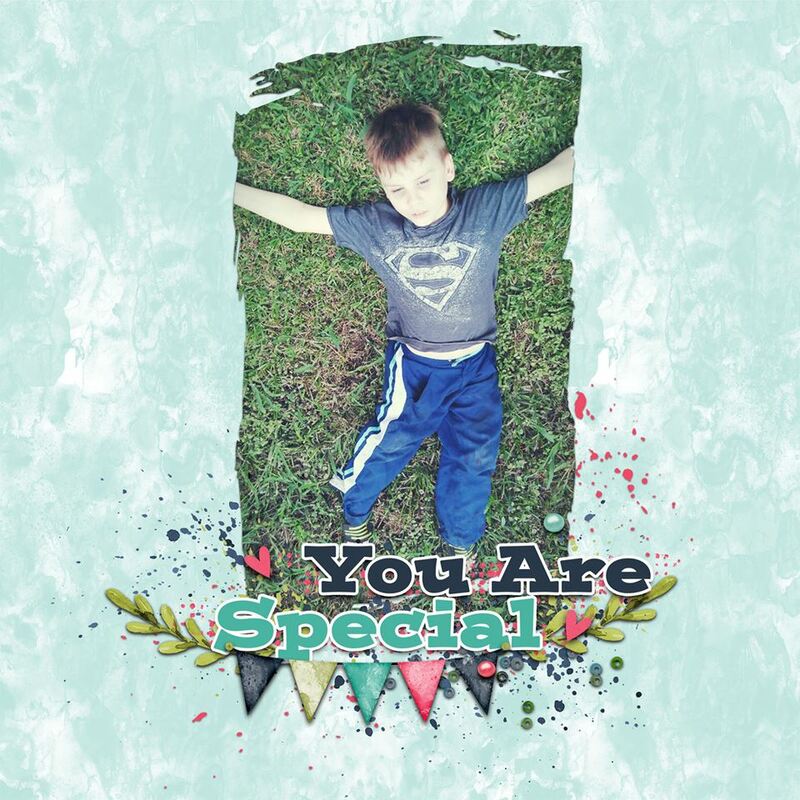 We'll definitely be playing with these printables on our traditional Tuesday, too. 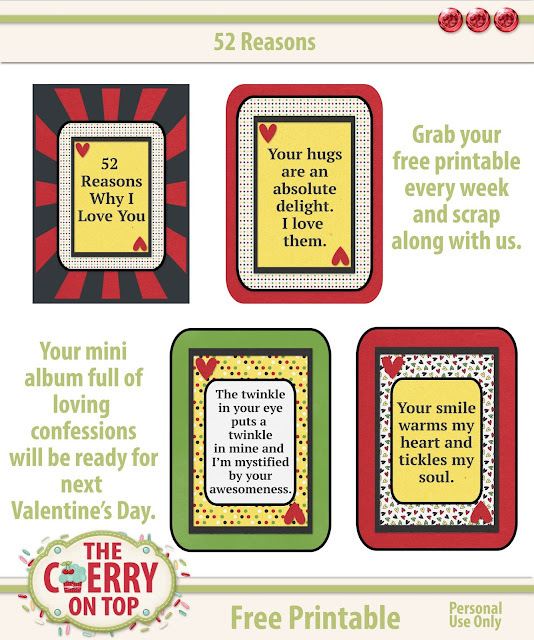 Are you following along our year long adventure, 52 Reasons I Love You? We'd love it if you do. More hybrid goodness for you in the form of FREEBIES! Click on the image where you can find both weeks of freebies. I hope you're enjoying this year's free calendars so far. 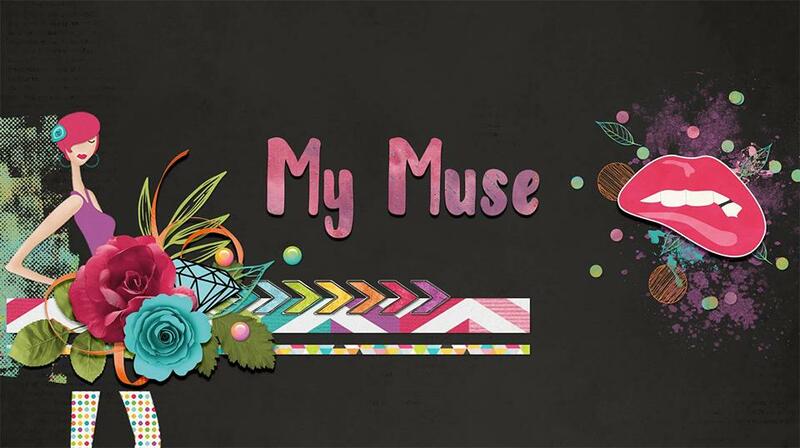 Made By Keuntje and I have teamed up again for another spectacular scrapbooking collection, My Muse. It started off with those templates you see in the middle, there. 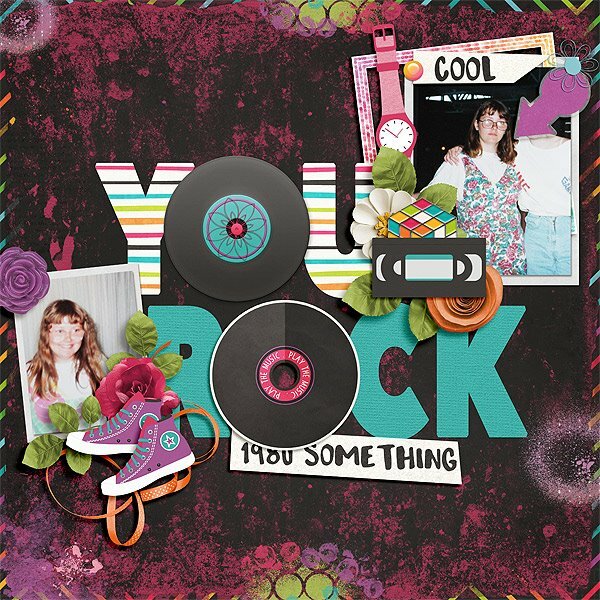 I used Dana's kick'n colour palette and her funky flowers as well as LouCee Creations totally rock'n cool chick templates and someone suggested we design a kit to match. Well, let me tell ya. It kept growing and growing... Hehehe... There are nearly 40 papers and over 80 elements! 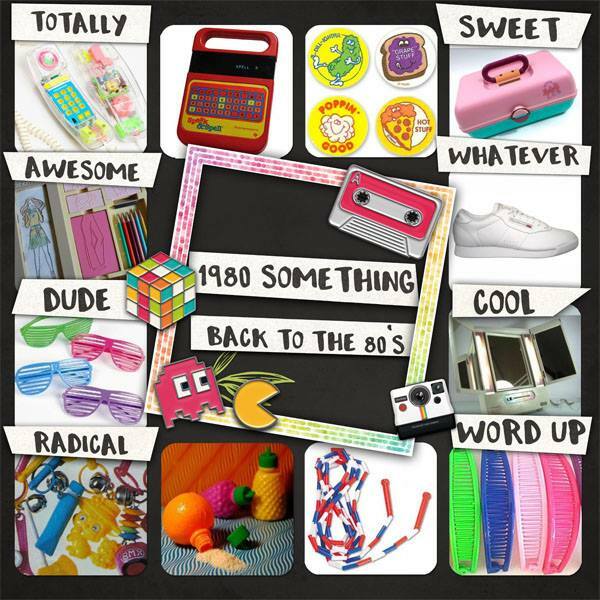 We also have a pack of over 20 word bits with sayings that you may have used once or twice 20 years ago and a pack of really cool journal cards. Keep reading to see what I and our teams have designed with the collection. 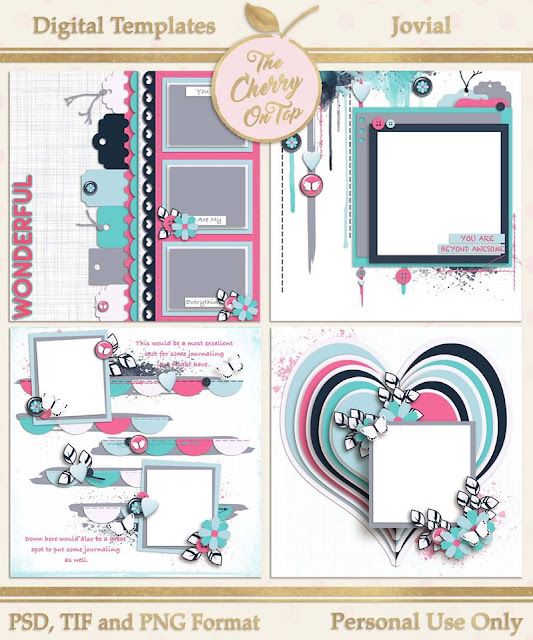 Throwing Some Scraps Around also has some new templates you can check out and grab those freebies! The first five pages are mine. I'll try to keep the blah, blah, blah to a minimum or it'll take awhile to get through it all. Hehehe...I often recommend getting a nice warm drink whilst perusing the blog. Especially, Freebie Friday. So, there I am with my altered bridesmaid dress in 1990! Oh! I just noticed a serious watch tan. I'm showing off the everyday side of our collection. 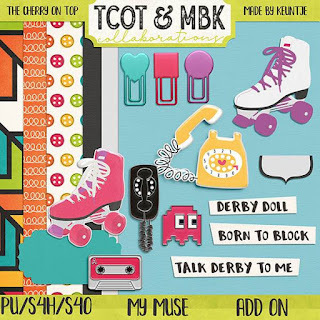 We got 25 embellishments in the pack specifically showing off 80's goodies and the other 50+ can be used for absolutely anything. The journal cards are so fabulously versatile. I used them for a Project Life style page. We've got several Project Life style templates in the shop if you are in need of them or for inspiration. Huge earrings, monstrous plastic hair clips, swatches and jelly bands and shoes. Remember?! This page shows off some of the many artistic style elements in the collection. We've got quite a bit of scatter, splatter, stamps, stitching, doodles and artistic style papers, too. 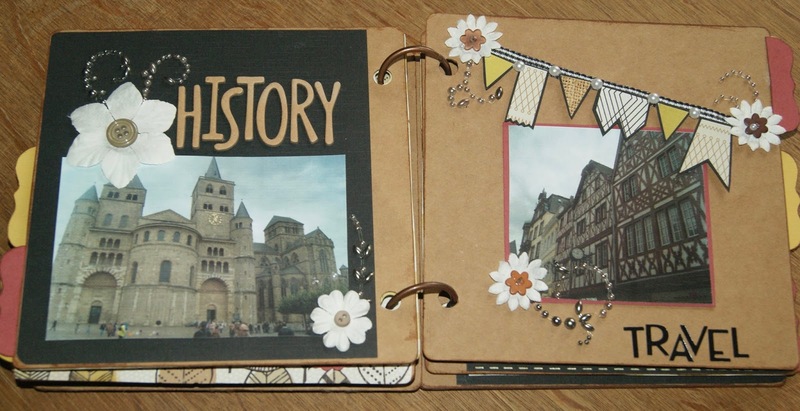 Showing off a few of my pages with the kit and my templates. Our templates are darn gnarly, would you not say? Ha! I clipped in a few super papers and added a few more ellies around the edges and the banner. Added a date and BAM! Finished! Can't forget the epic photo of me and my bro with his fabulous hair doo and Coca Cola shirt. That was my convertible. Of course, these templates can be used as quick pages. Just place in your photos and you're all scrapped up! Now, on to our talented team's designs. We got so many fabulous pages from our ladies. Dana and I were beaming with joy and pride. 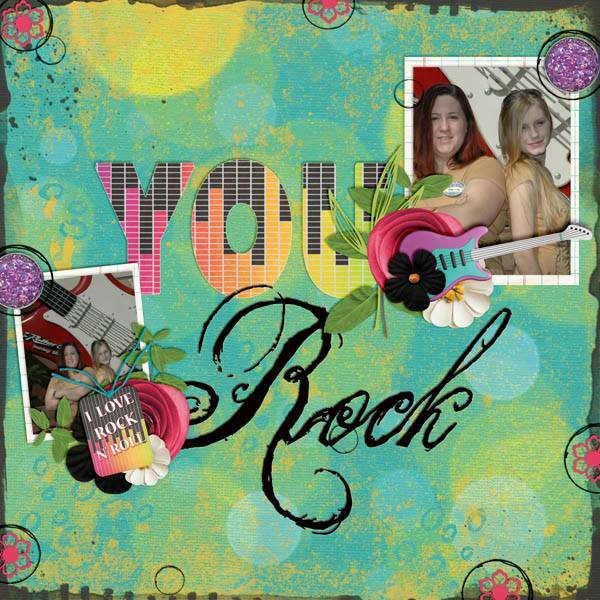 Hilary used my Siggies and Titles templates we released last week for her awesome title. Pretty fantastic! Hilary did a really cool page with bright on black and one heck of a cool photo effect! Our templates were very popular with the ladies! Karrie used the template really creatively. This particular template was very popular. What will you do with it? Give contrast to ellies and papers with strokes. 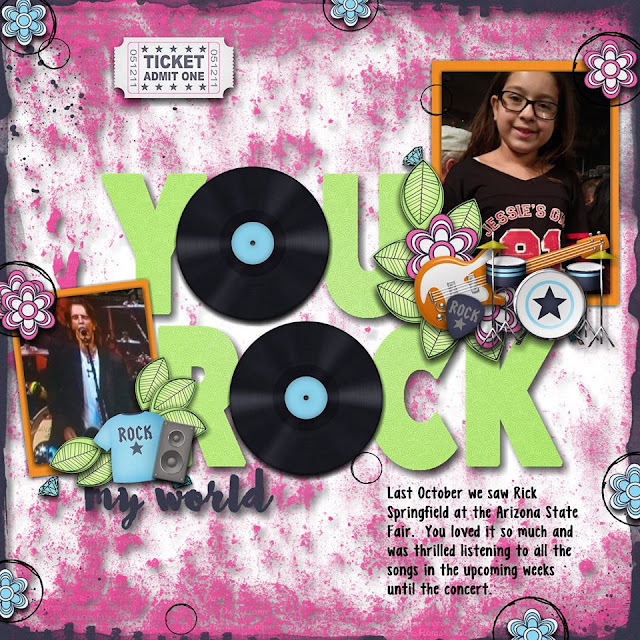 Rachelle gave one of records a white outline to give it contrast to the basically black lettering. Ruth did the same, above. You can purchase the entire bundle in Dana's shop for $7. 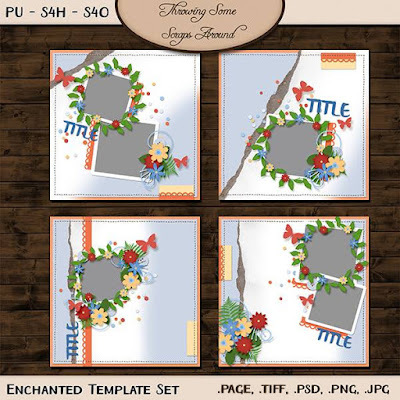 You can also purchase the packs separately there, along with the templates for just $3. 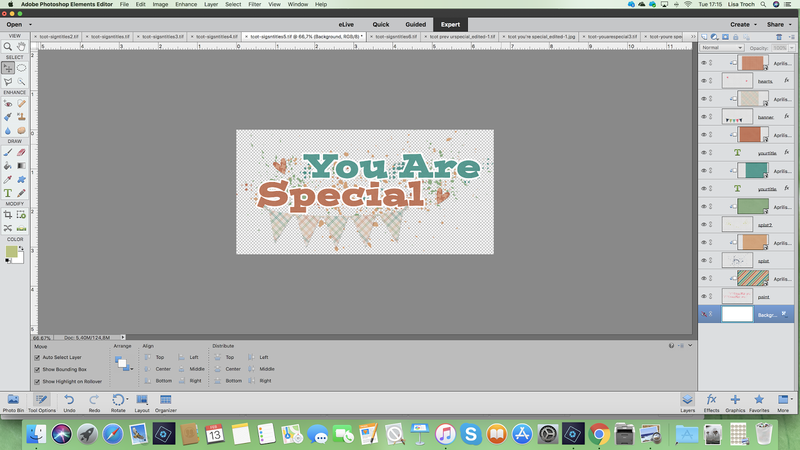 The templates are not in Kreative Design Studio. In The Cherry's shop at Kreative Design Studio. 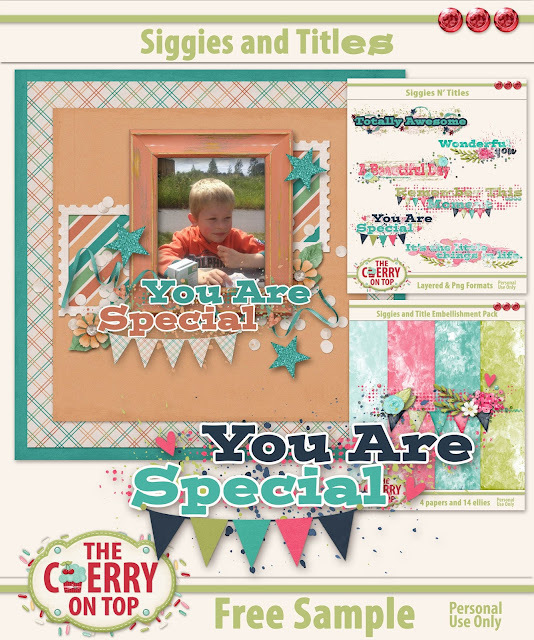 You can purchase separate packs of papers, ellies and a combination of the word bits and journal cards. I also have the word bits and journal cards in printable versions for you. 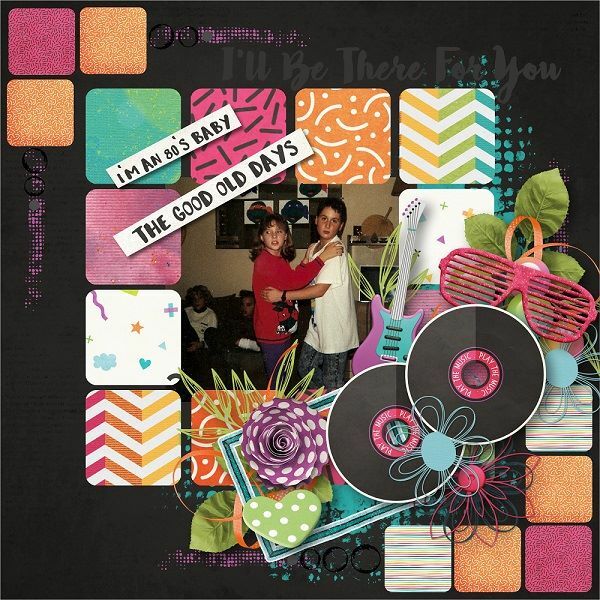 I totally will be printing and playing and showing off our projects on the Tuesday blog. 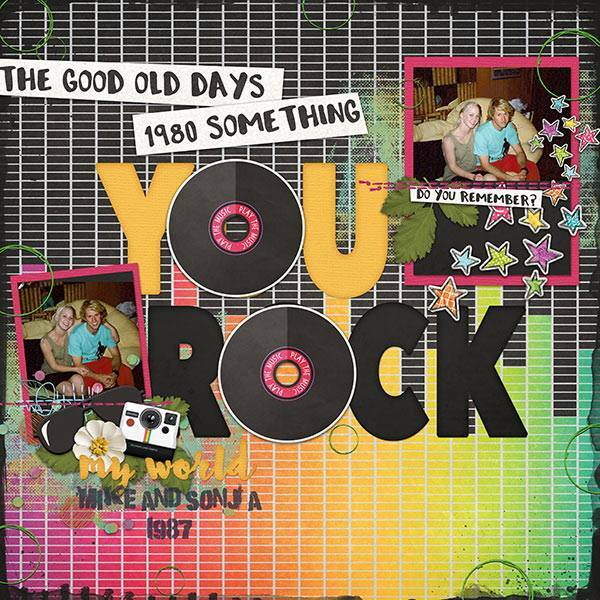 Made By Keuntje and I have freebies for you. Blogger was being wonky and I wasn't able to link up the images, but you can click on the high lighted wording to get the links. 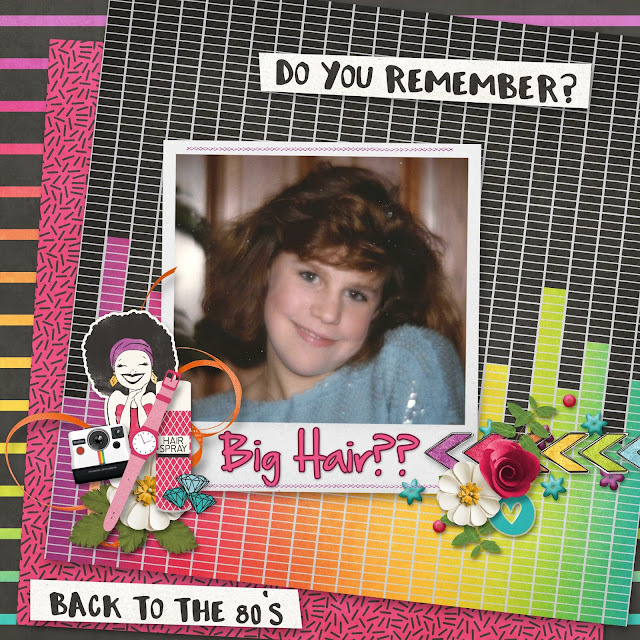 Get out your throw back photos and get scrapping! Of course the colours and assets are gender and age neutral so you really could scrap anything with this fun collection. 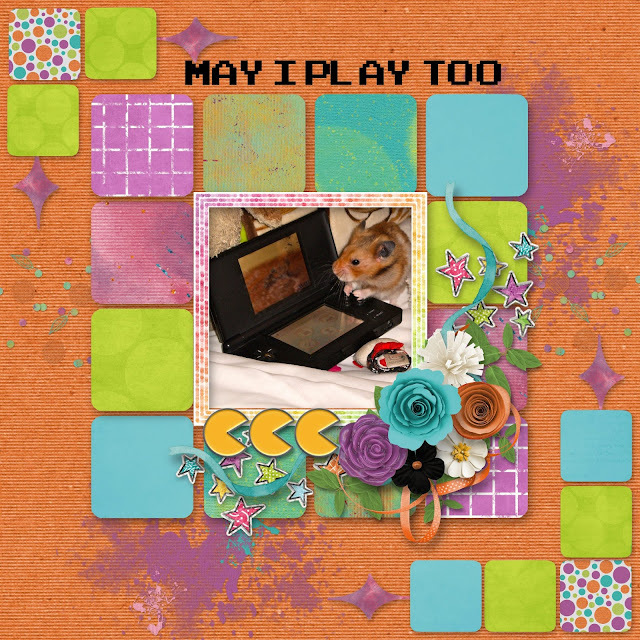 Here's my page using Throwing Some Scraps Around's new templates, Enchanted. 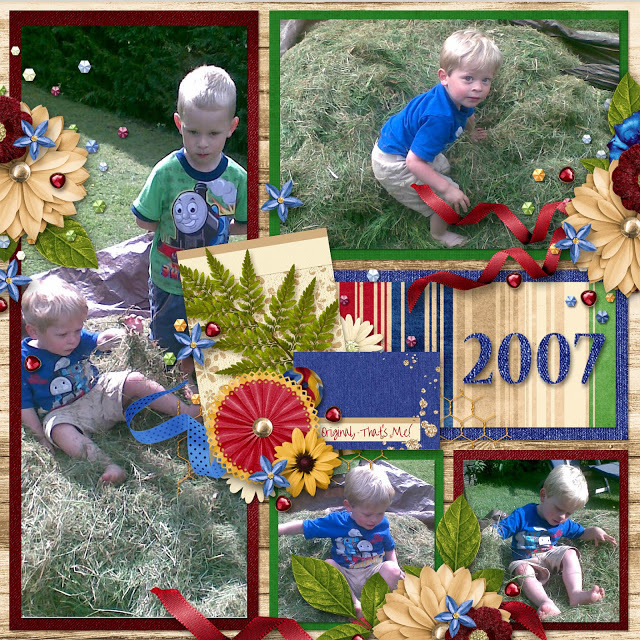 I couldn't wait to scrap these pics of my boys. I also used Jodi's kit, Gotta Be Me. Isn't it great?! More gender friendly colours and great for anything. This was another page I did with Gotta Be Me. It's so diverse and versatile. I just love it. 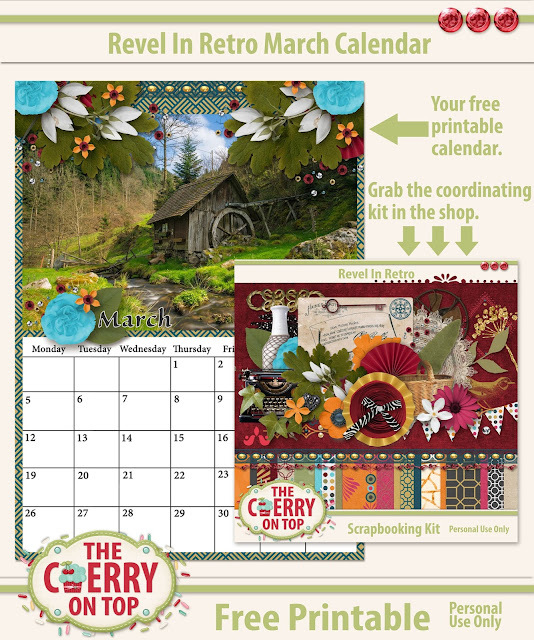 I did design a coordinating freebie with it. Find it here. The month is winding down. That means it's time to get in those challenge in my group and Kim Cameron's group, too. I've got two more fun challenges ready for next week. Don't miss out! Welcome to The Cherry On Top's, Traditional Tuesdays. We go totally traditional on Tuesdays at The Cherry. 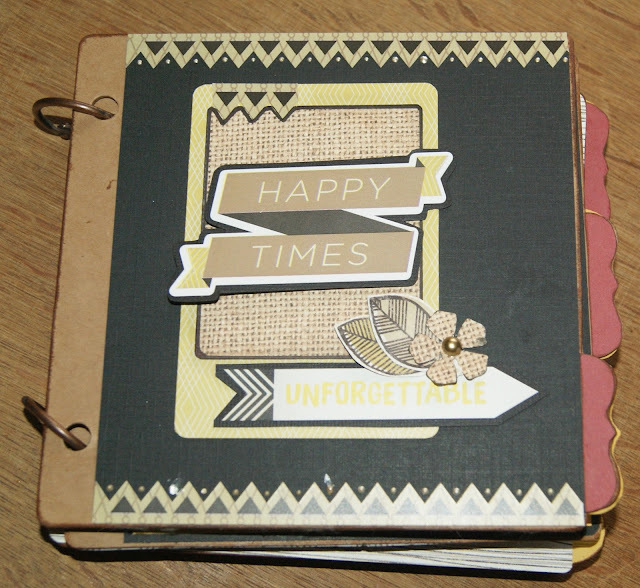 This week, I've FINALLY finished my simple, mini scrapbooking album using the Barista collection. I've got all of the pages on one blog for you. 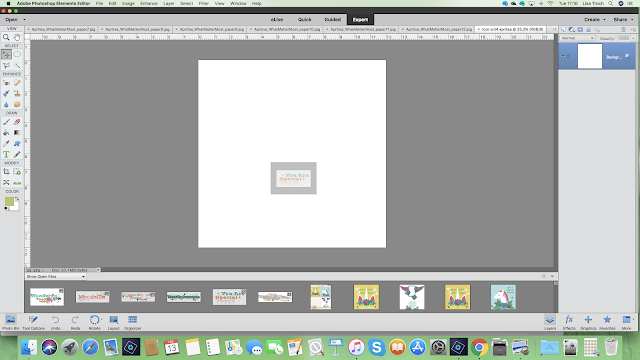 I've got several blogs with step by step processes for individual pages. They are filled with all kinds of tips and tricks for you to follow so you too can learn to scrap quickly, efficiently and inexpensively yet beautifully. Don't be put off by these over the top, clustered conglomerations of scrappy bliss. For me, personally, it is not at all realistic. I don't mean it isn't gorgeous, it's just not practical for me and my projects. They look great on a wall or canvas, but would never fit in a traditional book. I also do not have the kind of cash-o-la to make pages like that and not sure I'd want to take that kind of time to scrap something like that. This book is a totally doable, inexpensive, simple yet nice book of a fun vacation with my hubs. Even he liked looking through it. It is really fun taking the old books out of the cabinet and paging through them. That is ultimately why I scrap, but I enjoy the process so much as well. Living all of these fun times over and over. It's very comforting and heart warming. For years, I've not been scrapping too many 12x12's. They are are clumsy to handle and require tons of pics and a lot of product, too. Scrapping on a smaller scale will save you time and money and you might actually finish an entire book, too. No worries if it doesn't get done in a timely manner. This book took me well over a year. Big deal! If time were always an issue, it might not be nearly as fun. I wrote out a step by step for my cover. You can check it out here. Here are the rest of my pages, all in one nice place. 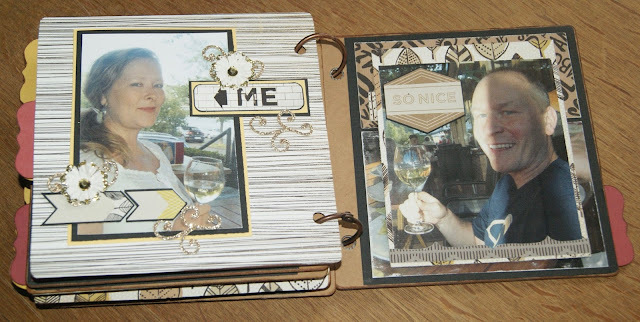 Many of the pages have step by step process photos where you can learn just how easy it is to scrap. My first page was the last page I scrapped. Hehehe...Just me and the hubs in our awesome camping spot on the Mosel River in Germany. That bottom photo was our view from the camper! Man! Here is where you will find where it all started, with the page on the right and how I gathered all of the goodies for the album. The city pictures are from Trier. What a fancy breakfast and there is that awesome view! What a cute, little camper! Here is the step by step for the page on the left. More pics from Trier. See how all of the pages colour coordinate and I've even used many of the same embellishments throughout the book for cohesion. 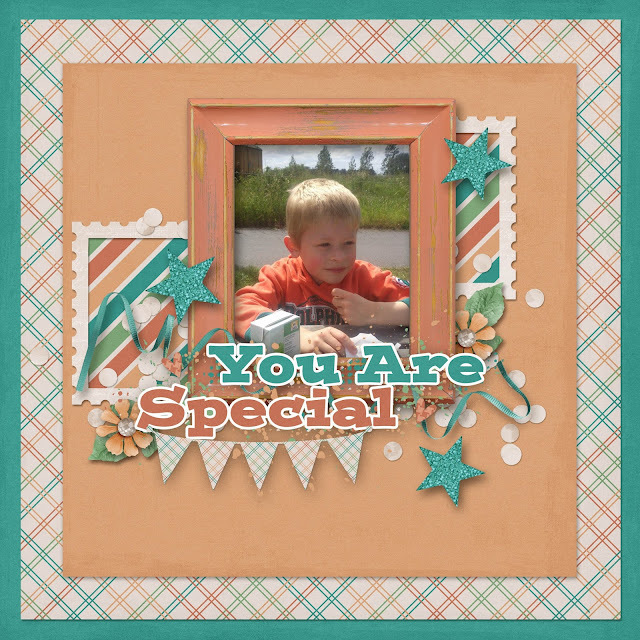 You don't have to do that, but it makes scrapping fun, quick and easy when you use a collection. Here is the step by step for the left page. A bit of glitter here and there for some added glam on very simple pages. This is the link for the page on the left's step by step. This last page is a flip photo so I could use even more photos on my small pages. Last week I started a year long project that I'd love for you to join us in. We are making an album together! 52 Reasons Why I Love You. I'm providing you with free, weekly goodies so that by next Valentine's Day, our album should be finished. Fingers crossed. Follow along with us and scrap up a really fun mini album for the loved ones in your life. I'm doing mine for my family. 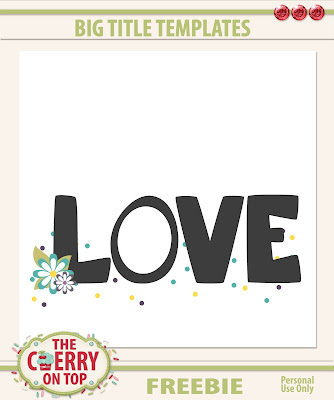 I'll try my best to have the templates and downloadable printable goodies ready for you on our Tuesday spot. Click on this image below, to get #2 reason which will be two cards. One with the sentiment and the other a place to put a photo or journaling or both. You can always hang in our scrap-a-licious group on Facebook, ask questions and catch up on the free downloads if you need. Someone always knows what's going on, if I'm not available. I sure hope you join us in our awesome year long, challenge!!! Thanks for stopping by The Cherry. We'll see ya next week. Boy, do I love showing off new concepts in this wonderful realm of digi delights. I've got a really nifty new set of templates that are most probably, like nothing you've seen yet. I hope so, anyway. 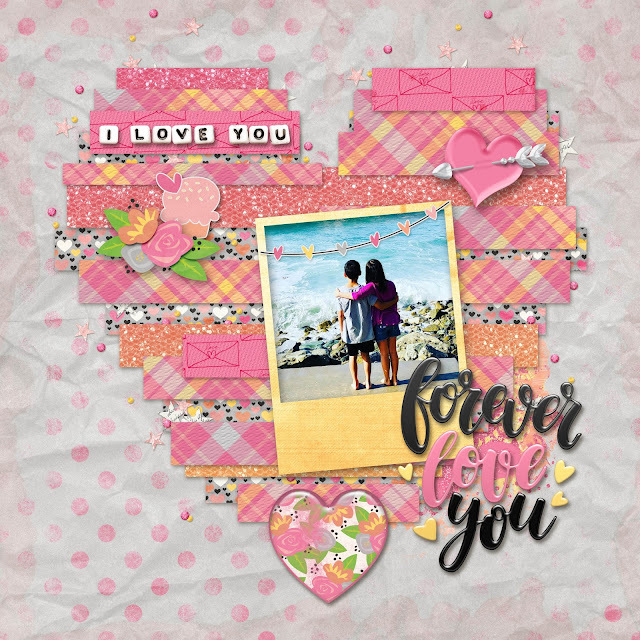 hehehe...I've also got inspiration using the new goodies as well as pages of inspiration from other designers kits around DigiLand and a few links to some fabulous freebies from us and other scrappy sisters. So, dive right in to all of this scrap-a-licious goodness! I've designed these six templates that can be used in a variety of ways that will amaze you. They will, seriously. My girls started playing with them and came up with even more ideas. I love when that happens. I always thought my other templates were flexible and these are even more flexible still. 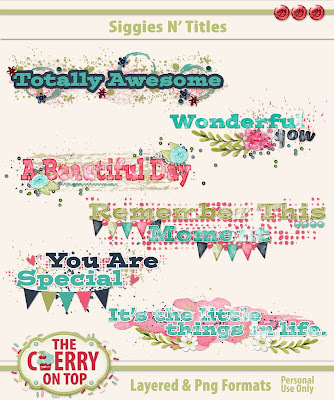 With your purchase of Siggies and Titles, you'll get not only the six templates in tif, psd, separate pngs and merged png format, but you'll also get a free, coordinating pack of goodies with 4 water colour papers and 14 elements so you can use the templates or the merged pngs as is and the goodies to make an entire page. Eek! Once you've seen all we've done with these, you are definitely going to want to add them to your stash. You can use them with anything at all. Cards, posters, pages, stickers, book markers, tags, planners...Go crazy! 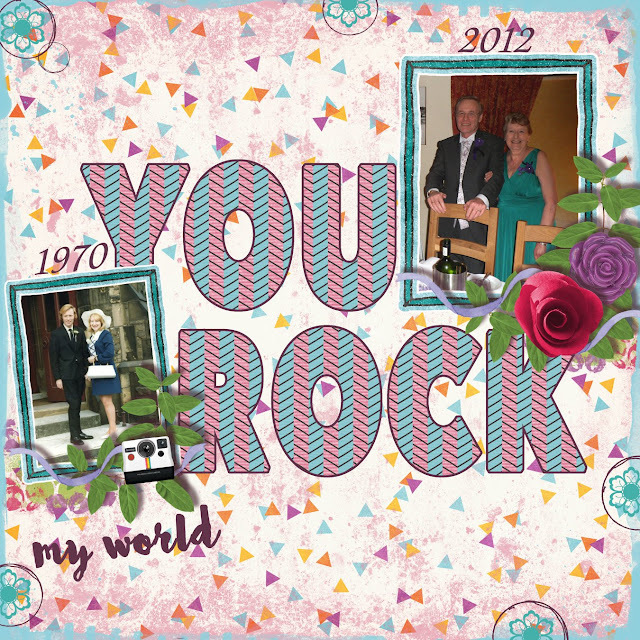 Here's a page of mine using the word art as is and the goodies from the free coordinating mini. 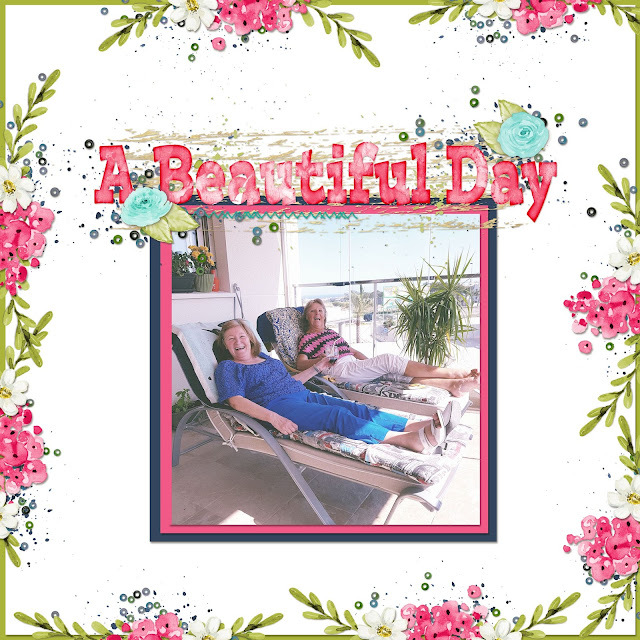 My auntie soaking up the sun with her friend, in Spain. My bestie being silly, as usual. I felt the picture had so much going on, I wanted to leave the rest of the page less busy. 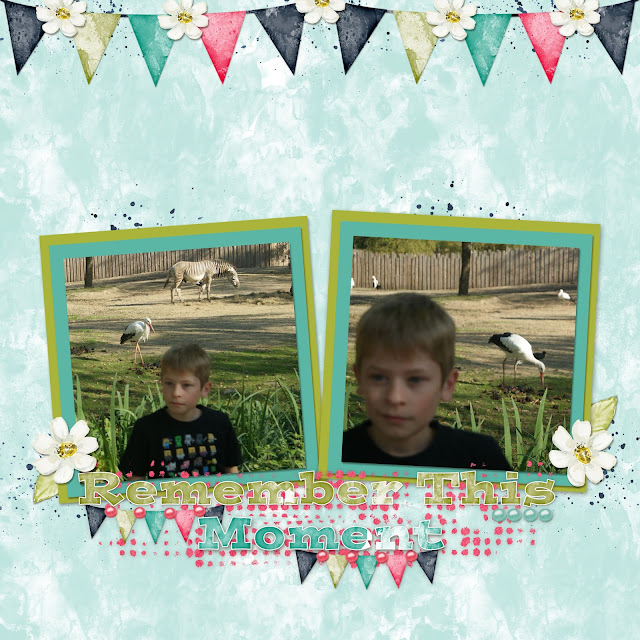 I added a couple of layers and my pics of my youngest at the zoo and the word art again, as is. For the next page, I used the templates as templates. Scroll further to see how I did it, but there are several ways you can. I want to make a video, but I'm on vacation with the fam. I'll be sure so add it when I get back. 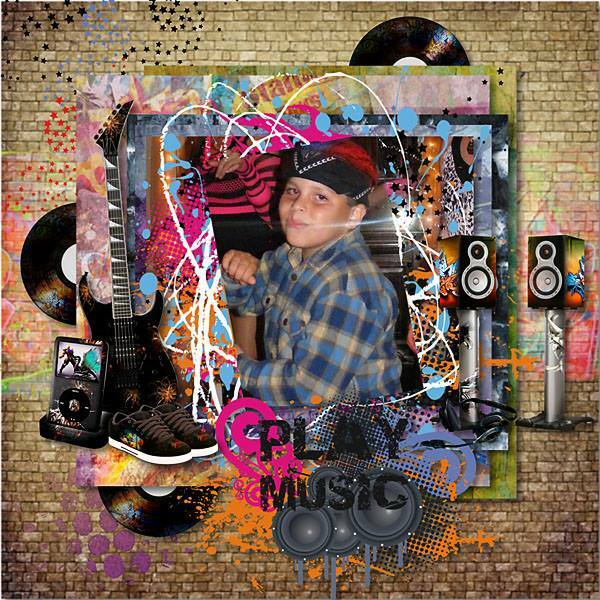 The first thing I did was open a free kit from Aprillisa into my gallery in PSE. Then I opened this particular #5 and decreased the size of my working space by using command and the - button (next to the +) for Macintosh. So I have plenty of room for adding papers. Another way you can work with the templates, is to click on the eye in your layers to make the layers invisible. When you have all of the items invisible except one, you can drag it on to the page you are working on. Of course, this will be a bit more time consuming. 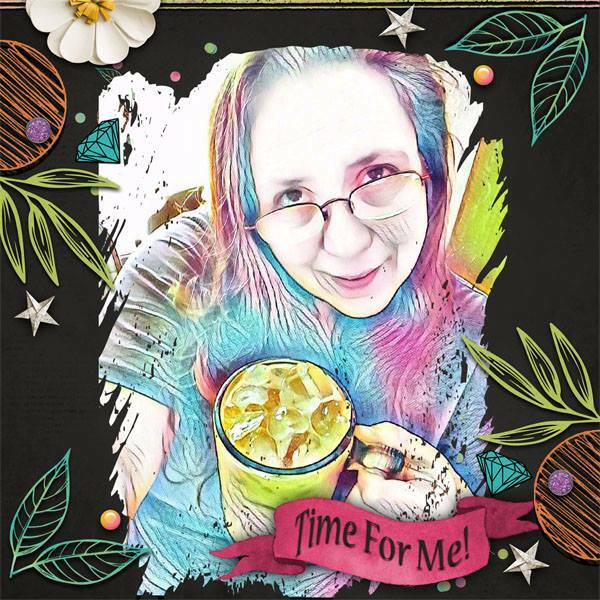 When I finished my templates or word art in this case, I slid it on to my clean, blank page and worked all around with it for my page. You can slide it on to a template as well, of course. Check out what my team has done with them. 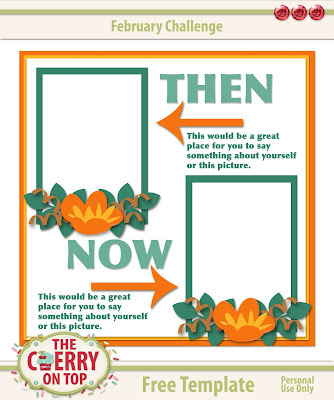 Make a pretty wall photo or message to pass around or post. Design an avatar, siggie or blinkie like Hilary has done. It's really fab! You could even insert live links into your avatar! 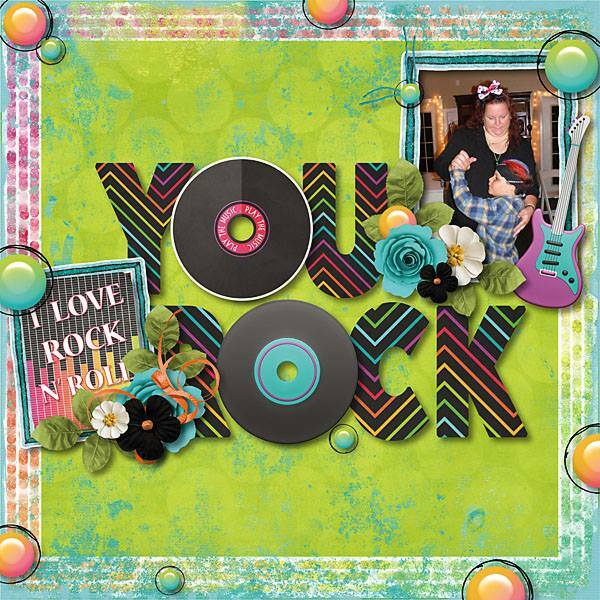 Shelly made some funny word art with the new goodies. Rachelle got all romantic and pimped up her FB wall photo. 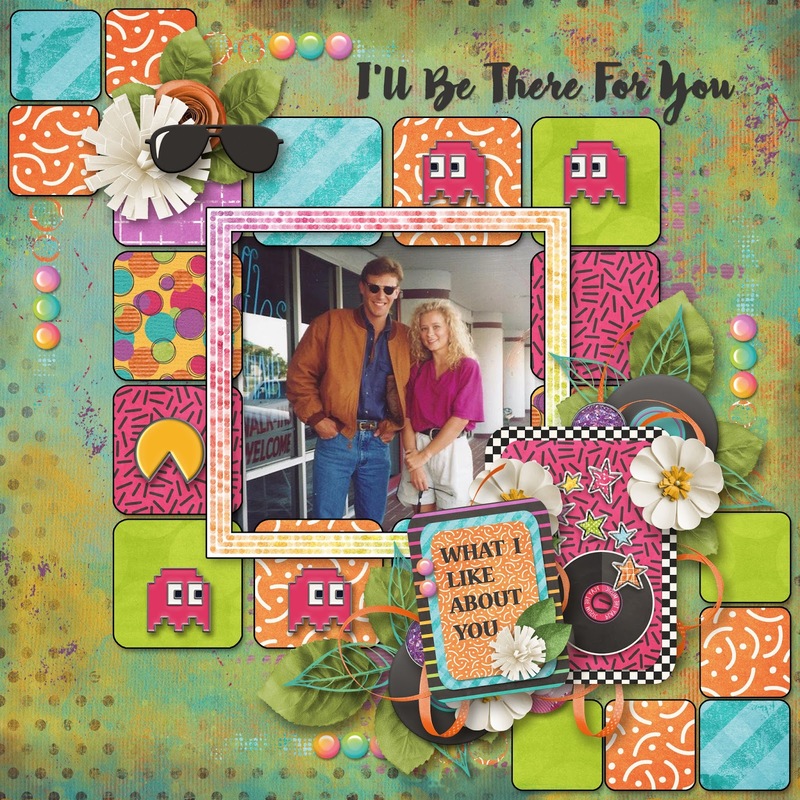 Carol made a really pretty page with all of the goodies. I bet this page scrapped up really fast. What a great idea adding a mask to the mix. If you receive our newsletter, then you've received an exclusive free sample with the new templates to give them a test drive. If you're new to The Cherry and are not signed up, I'll be putting the link in for next Friday, too. I very, very often have exclusive freebies for newsletter subscribers. Sign up here or on our FB Page. (We post freebies nearly every single day, there!) We don't inundate your in box either. On to other fabulous designs. 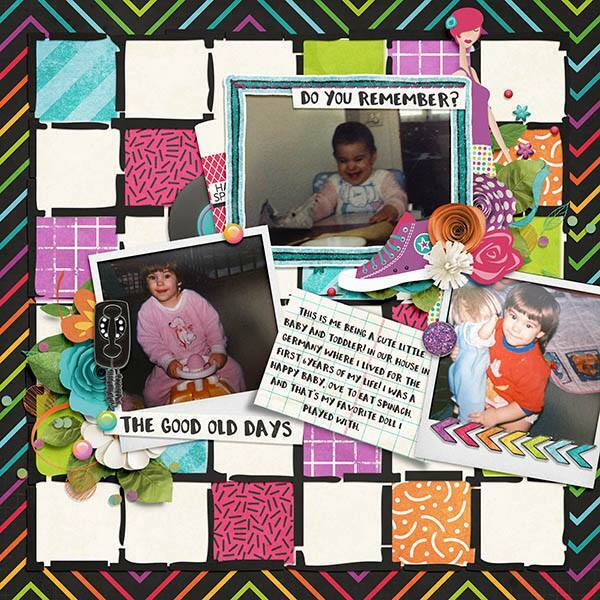 I used our Revel In Ribbons Templates for this page along with Made By Keutnje's and Throwing Some Scraps Around new collaboration, Forever and a Day. It is SO fabulous. I can't stop scrapping with it. I did three pages and have more in mind. It is going to be one of those kits that I keep going back to. I can tell you that! I scrapped up a friend of mine's really great pics. She takes awesome pics of her family and their lovely surroundings in Cali. 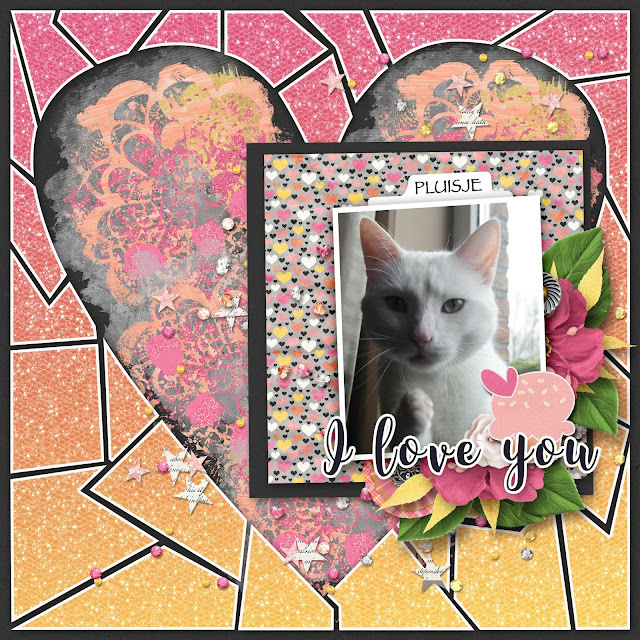 This kit does have quite some pink, which goes great with my top cat, Pluisje. He is crazy photogenic. Meow! Do you recognise the free template? It is also from Made By Keuntje. Find it here. I couldn't wait to play with the faux fur frame. Say that 5 times fast! Hehehe... What better pic to scrap that furry frame than with my fur baby? This collection is so, so awesome and has just everything you need. Ya know, it took me under 10 minutes to make this page. That's when I know a kit is really good. When it all just comes together so well. Here is a peak at the collection. It's linked up to the shop. 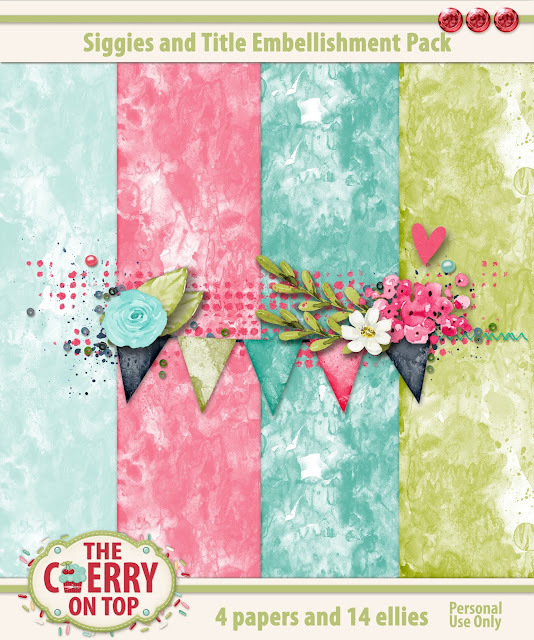 Made By Keuntje has a really pretty coordinating freebie on her blog. Click on the image to get there and download. These are the templates we released last week. 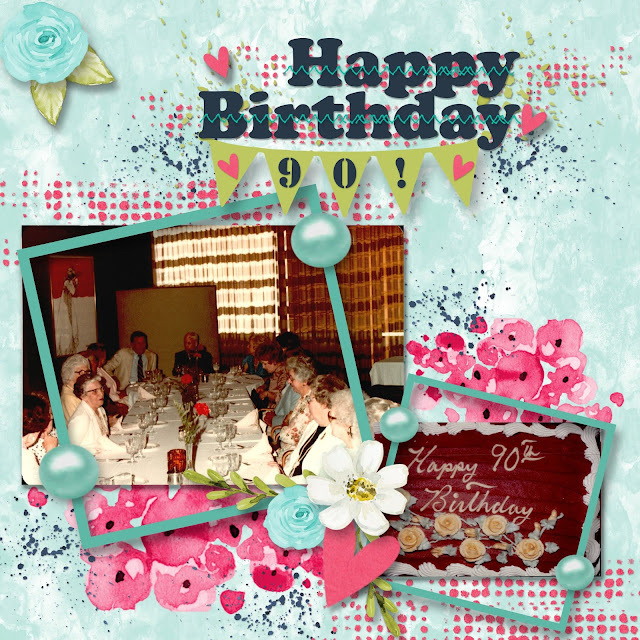 Scrap any photo you like with them. We've started a year long project for Traditional Tuesdays. 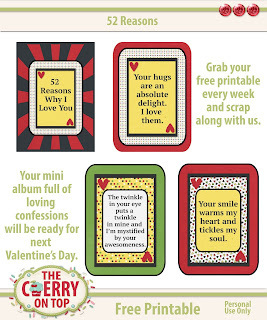 By next year Valentine's, you'll have a pretty, free mini to give to someone special in your life. Each week or so, I'll have a free printable card for you to download, print and scrap up into your very own mini album. I'm so excited about this project. I've been wanting to do it for years. You could use the cards as journal cards and or cards for project life as well. Here are a few more recent freebies. Our free template in Kim Cameron's Fan Group. 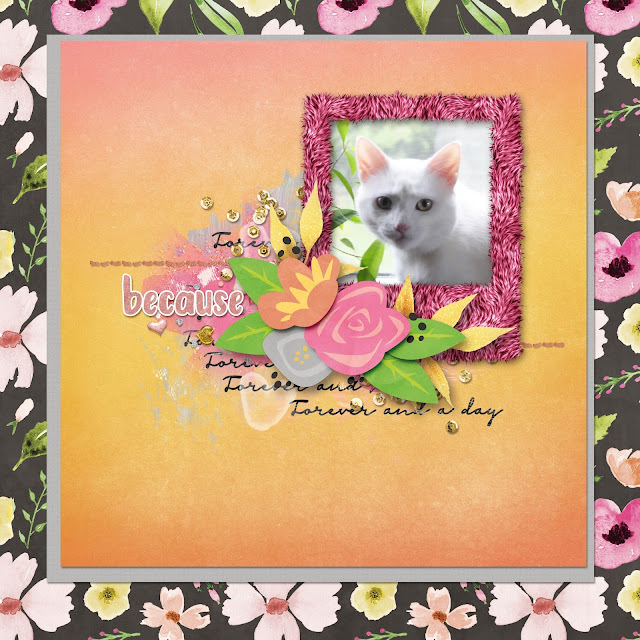 A freebie in our own scrap-a-licious group. AND if you are looking for some new, refreshing and adorable designs check out Lauren C. Waterworth. I'm really liking what I've seen so far. 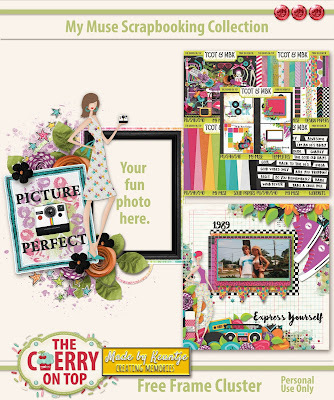 Here's a taste of her designs in the form of a freebie. I thought you'd love it.